Cryptocurrency exchange operator Huobi has announced that it has upgraded its multi-chain light wallet to support six additional stablecoins. In addition to Tether (USDT), Huobi Wallet has added support for True USD (TUSD), Dai (DAI), Paxos Standard Token (PAX), STASIS EURS (EURS), Gemini Dollar (GUSD), and USD//Coin (USDC), becoming the first wallet to support seven stablecoins. "Huobi believes in giving users maximum flexibility and choice when it comes to handling their digital assets so this upgrade was a natural move for us," said Huobi Vice President Livio Weng. 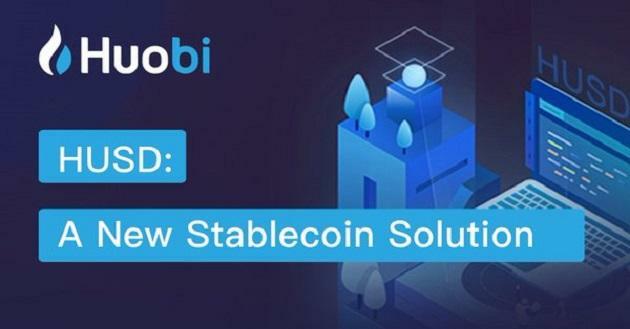 In a report dated October 19, CoinDesk reported that Huobi has rolled out a solution that will allow users to switch between different types of stablecoins. Dubbed “HUSD”, the solution will initially support PAX, TUSD, USDC, and GUSD. Huobi's chief operating officer, Robin Zhu, clarified that HUSD is not itself a stablecoin or protocol, instead it is a medium which will facilitate exchange between the different stablecoins. Using this solution, users will be able to deposit one of the four stablecoins and withdraw a different stablecoin of their choice. 1. Users’ choice between stablecoins. 2. Conversion cost between stablecoins.